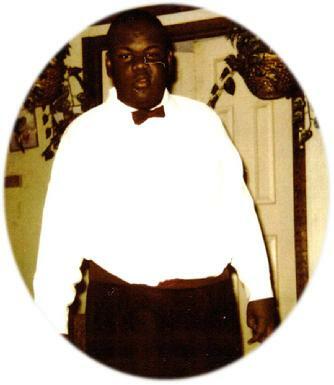 Brother Lorenco Aranos Green, 38, was born in Varnville, Hampton County, SC on July 23, 1980. He was the son of John Daniel Green and Mary Ellen Doctor Green. On Thursday, January 17, 2019, our beloved “Renco” was called home. At an early age, he became a member of Antioch Christian Church, Disciples of Christ, Varnville, SC. Lorenco Aranos Green attended Headstart in Walterboro, SC. He later attended North District Middle School of Varnville, SC, the Palmetto Development Center of Varnville, S.C. and the Gretchen Everhart School located in Florida. Renco enjoyed working jigsaw puzzles, latch hook crafts, listening to music, and writing numbers. To cherish fond memories: His father and mother, John D. Green and Mary Ellen Green; (3) Sisters: Katrina Marie Green, and Crystal Shantell Green, both of the home and Antonette Nacole (O’Brien) Morgan of Concord, NC; (2) Nephews: Caleb Morgan and Tristan Dunbar; (3) Nieces: Camilla Morgan, Kaylee Green, and Rosalia Wright; (12) Uncles: William (Diane) Green and Jonathan(Charlene) Green, both of Newark, NJ, Pastor Benjamin Green of Hampton, SC, Minister Mark (Gleneese) Willis and Minister David (Karen) Willis, both of Easton, PA, Thomas Reid of Yemassee, SC, Lazarus Reid of Early Branch, SC, Randolph (Tilea) Doctor of Columbia, SC, Nathan Willis of Bronx, NY, Minister George Doctor and John Moore, both of Varnville, SC and Deacon Woodrow (Minister Patricia) Green of Greenville, SC; (11) Aunts: Evangelist Doris Singleton, Vernell Allen, and Betty (Deacon Larry) Davis, all of Varnville, SC, Gloria (Deacon Tommy Lee) O’Banner of Early Branch, SC, Evangelist Gloria (Bishop Boaz) Stuppard of Jacksonville, FLA, Pearline (Ben) Heyward of Hampton, SC, Gwen Ellis and Janice Green-O’Bannard, both of Augusta, GA, Evangelist Cathy (Minister Isaac) Jefferson of Long Island, NY Helen Green and Evangelist Bonnie Green, both of Greenville, SC; (2) Great uncles: Pastor Thomas (Dorothy) Doctor and James Capers all of Varnville, SC; (7) Great aunts: Liza Thompson of Early Branch, SC, Rose Green of Washington, DC, Polly Moore, Pauline Davis, and Betty Henderson, all of Varnville, SC, Betty Lee of St. Louis, MO, and Elder Dolly Douglas of Long Island, NY; A host of other relatives and friends. Special thanks to Allison and the Hospice Care Team, Alleane Collins, and Uncle James Capers.